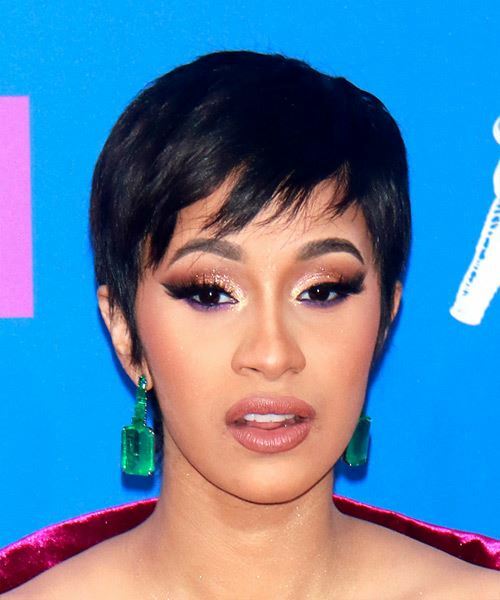 This black pixie cut from Cardi B is not for everyone. You need to be ok with committing to such short hair but keep in mind that hair does grow up. The side-swept bangs give you a sense of mystery but at the same time shapes the face nicely. 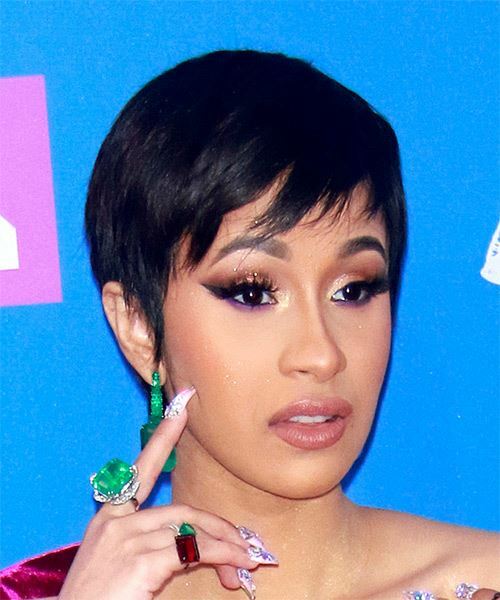 Her hair has been cut shorter in the back and longer in the front to give the look some body and volume. This hairstyle can be pulled off if you wear glasses but contact lenses will look better. If you want to take this look to the next level, you can place a few highlights in your hair to give the hairstyle some color and fun. Unfortunately, not all face shapes will suit this look. Makeup application can be done however you want as your hair will not get in the way and take over the look overall. You do not need a lot of product to keep this hairstyle in place and it will not take you a long time to get ready in the morning. Give this one a go and once you get used to it, you will not be disappointed.